The Watoto Children’s Choir will sing in several churches this week. Churches all over Metro Vancouver are hosting the Watoto Children’s Choir for their Signs & Wonders tour. They visited several churches earlier this month before going to Vancouver Island, but they will still make several local stops over the next week for those who missed them. Gary and Marilyn Skinner founded Watoto Child Care Ministries in 1994. The couple established this international organization as a compassionate response to the plight of the millions of children across Africa who have been orphaned as a result of HIV/AIDS. Watoto Child Care Ministries currently cares for more than 3,000 children within three Watoto villages. Each child living in these villages is raised in a family setting rather than an institution. The Skinners’ vision is that the children be raised to become the future leaders of Uganda and Africa. The Watoto Children’s Choir tours the world annually to advocate for millions of African children currently orphaned by AIDS, poverty and war. The choir has performed before royalty and world leaders at Buckingham Palace, at the White House and at many national parliaments across the globe. 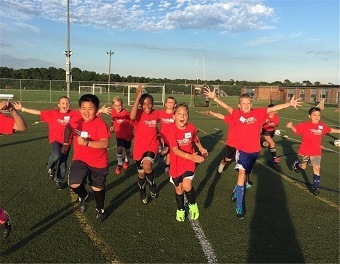 Soccer camps are popular this summer. Churches and soccer seem to be hitting it off quite well these days. Not necessarily quite at the World cup level, but closer to home there are a number of church-based soccer camps around Metro Vancouver, some next week and others later in July and in August. Most last for a week, and many – though not all – are connected with Athletes in Action, which runs camps right across Canada. It also runs basketball, volleyball, hockey and multi-sport camps, some of them local as well. And for those more inclined to watch and graze, Redemption Church in Kitsilano is hosting a World Cup Brunch this Saturday (June 30). Vancouver School of Theology is on the UBC campus. 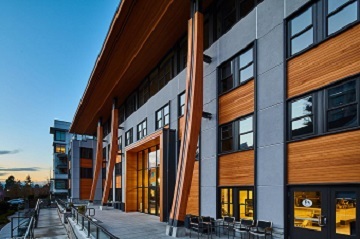 Vancouver School of Theology (VST) made a significant announcement June 15. The UBC-based school has reached an agreement with Durham University in the United Kingdom which will enable VST to offer a British Research PhD in Theology at VST starting this fall. This initiative with Durham University . . . “will expand VST’s circle of learning and strengthen VST’s association with a Department of Theology and Religion that is deeply invested in theological education for the life of the church and provide VST students with increased educational options to continue their theological training at a post-graduate level,” says Principal Richard Topping. Currently, there are no Canadian institutions west of Toronto that offer a PhD program in Theology. This highly innovative collaboration with Durham University responds to a significant need for a research-intensive doctoral program in Western Canada. Students in this program will be working toward a Durham PhD without course work and will be able to complete in three years. Part-time students can complete the program in six years. Students will travel to Durham University for an orientation but will carry out the bulk of their studies in Vancouver under the direction of a VST co-supervisor and a Durham supervisor. This program will be an attractive option for those wishing to expedite their education by focusing on research, distinct from other North American doctoral programs requiring course work, which in turn extends the learning period and the financial commitment on the part of the student. Students accepted into the program will be eligible for bursaries and scholarships offered both through Durham and VST. Durham University is ranked third globally for its theology, divinity and religious studies offerings. As an affiliated college of the University of British Columbia, VST is now ranked 39th globally and in the top 10 of most improved theological schools. Vancouver School of Theology welcomes students from many Christian communions, other faith traditions and Indigenous communities, while celebrating its core relationships with the Anglican Church of Canada, Presbyterian Church in Canada and United Church of Canada. Registration details for this program will be posted to the VST website by July 1.